New Price-Opportunity awaits in this updated 4 bed/3 bath home in the Cook Park neighborhood. 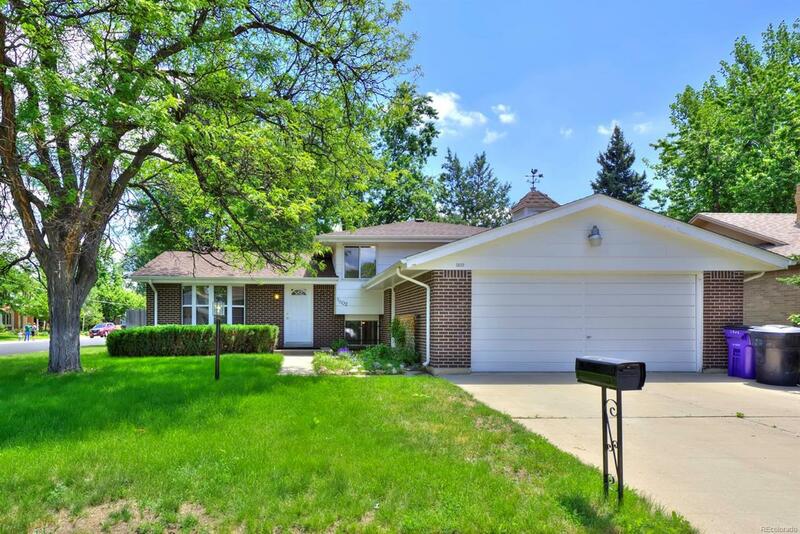 This tri-level+bsmt sits on a quiet 8,180 sq ft corner lot. Upon entry, find newly finished hardwood floors, fresh paint & updated light fixtures. Bay window in living room provides ample natural light. Kitchen features cherry cabinets, new sink & disposal, & quartz countertops. Dining room opens to kitchen & living room, & looks out the sliding doors to the spacious fenced backyard & tree shaded patio. Upper level consists of 3 bedrooms & 2 baths, including the master w/ attached 3/4 bath. Lower level houses family room w/ fireplace, bedroom & bath plus laundry room w/ access to backyard. Basement space provides 500 + sq ft to customize. Additional features included 2 car garage, central A/C, attic fan, new furnace in 2017 & mature trees. Just steps to Cook Park, Rec center w/pool, riding or running on the Cherry Creek Trail, and easy access to light rail, I-25/225. OPEN HOUSE Sun 7/8 2-4pm.